This class is designed to introduce students to the role religion plays in creating and maintaining culture through such popular venues as motion pictures, television, sports and fashion, as well as the impact religious values have on popular cultural expressions. As a system upon which cosmos construction and maintenance is dependent, religion in the form of religious actions and values are expressed in everyday behavior. This manifestation of religion is the subject of this investigation into how and why it is such an integral part of popular expression, and why it is often overlooked. Time will be spent exploring the nature of contemporary society for clues explaining this phenomenon. 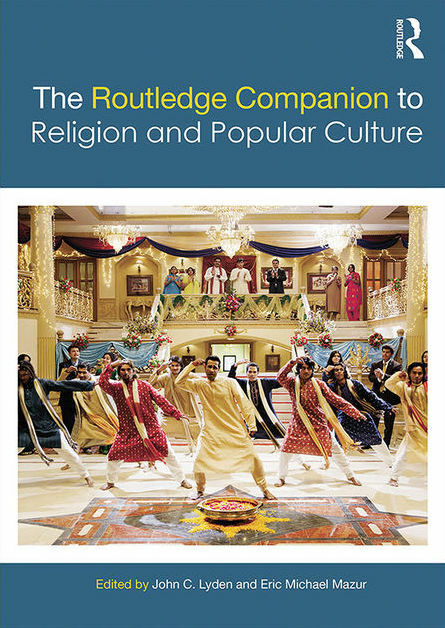 Much of the instruction will depend on the investigation of examples of religion in contemporary popular culture, though historical and theoretical grounding will be provided in the readings and class discussions. Emphasis will be placed on specific examples explored in class, though you will be encouraged to draw from materials that you encounter outside the classroom, including music, motion pictures, print media, and television episodes. ⇒ Able to recognize the pervasiveness of religion as a mechanism for culture-building and culture-maintenance. We will be reading the following texts, which are available at the VWU Scribner Bookstore. You are free to purchase them elsewhere, but you are solely responsible for purchasing the correct titles (and edition) if you do so. Gaiman, Neil. The Sandman, vol. 1: Preludes & Nocturnes. Lyden, John C., and Eric Michael Mazur. 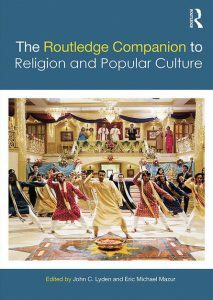 Routledge Companion to Religion & Popular Culture. Additional materials may be assigned as the course progresses. I COMMUNICATE MOST OFTEN VIA ELECTRONIC MAIL. YOU ARE RESPONSIBLE FOR CHECKING FOR ANY RECENT IMPORTANT INFORMATION TRANSMITTED ELECTRONICALLY. IN ADDITION, YOU ARE RESPONSIBLE FOR COMPLETING ALL OF THE READINGS. I AM NOT RESPONSIBLE FOR YOUR FAILURE TO OBTAIN READINGS OR READING ASSIGNMENTS THAT ARE DISTRIBUTED IN CLASS. ⇒ Attendance (15 points): You are expected to attend all scheduled classes. If you complete the Winter session with perfect attendance will receive 15 points; if you do not you will have 1 point deducted for each absence. There are no exceptions; there are no excuses. ⇒ Discussion participation (25 points): You are expected to participate fully in regular discussions, and engage the materials in class. Regular and thoughtful participation in class, as well as enthusiastic participation in the assignments, will be rewarded in this category. Mindless blather will not. ⇒ Part I (20 points): Author / Work Evaluation: For Part I, you are expected to investigate / evaluate the author and the assigned work, in terms of how they have been presented in contemporary culture. This might include author interviews and / or reviews of the assigned work. It is not intended to be an analysis of the content of the assigned work. (Save that for Part II.) Part I is expected to be approximately 3 pages long (double spaced, 1″ margins, 12 point font), and is due at the end of the first full week of Winter Session (see “Schedule of Readings & Assignments“). ⇒ Part II (20 points): Genre / Content Evaluation: For Part II, you are expected to analyze / evaluate the content of the assigned work, specifically in terms of religion and popular culture themes, images, ideas, and symbols. This analysis / evaluation should be grounded in the literary genre of the assigned work. Part II is expected to be approximately 3 pages long (double spaced, 1″ margins, 12 point font), and is due at the end of the second full week of Winter Session (see “Schedule of Readings & Assignments“). ⇒ Part III (20 points): Report: Part III is the culmination of the Project; as such, it is expected to consist of Part I (“Author / Work Evaluation”) and Part II (“Genre / Content Evaluation”) plus additional interpretation / analysis on the overall topic of religion and popular culture as presented in the assigned work. Part III is expected to be approximately 8 pages long (double spaced, 1″ margins, 12 point font), and is due on the last scheduled day of class (see “Schedule of Readings & Assignments“).